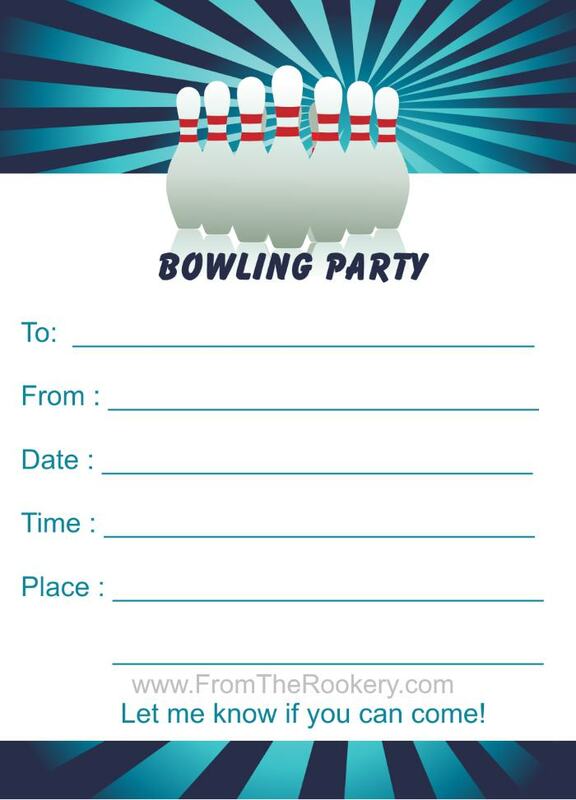 Having a bowling party? 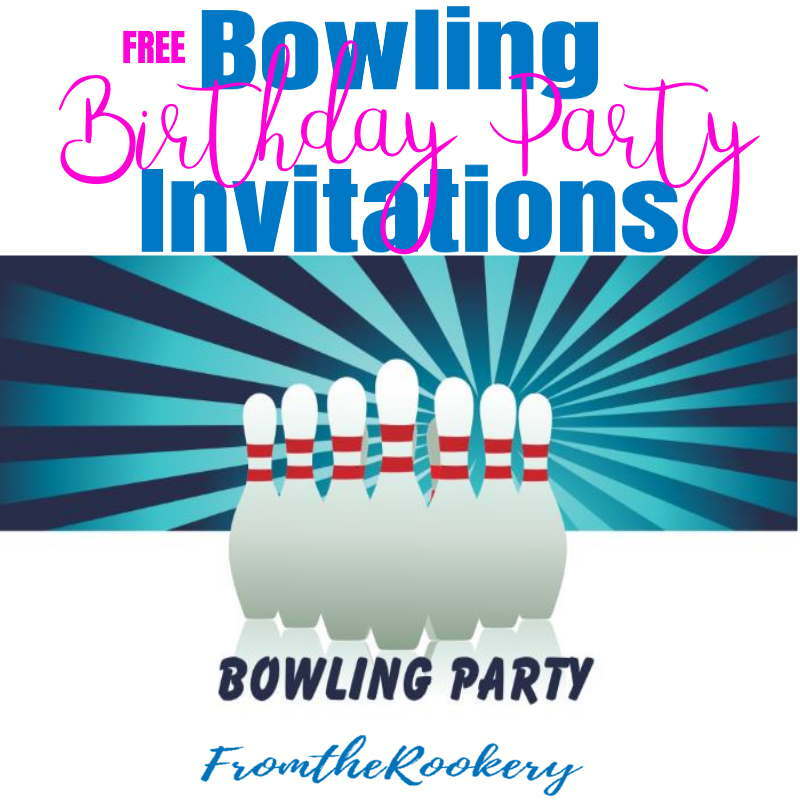 Try these free printable bowling birthday party invitations! 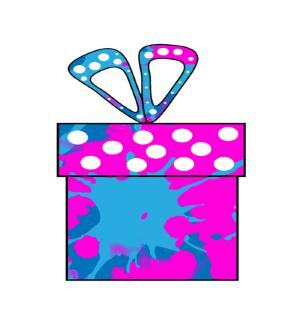 These two great designs are the perfect invite for birthdays, team events or a girls night out! Bowling parties are great fun, and work really well with all ages. 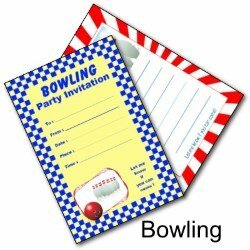 Most bowling alleys have facilities to help your party go smoothly. What better way to celebrate than with a strike! 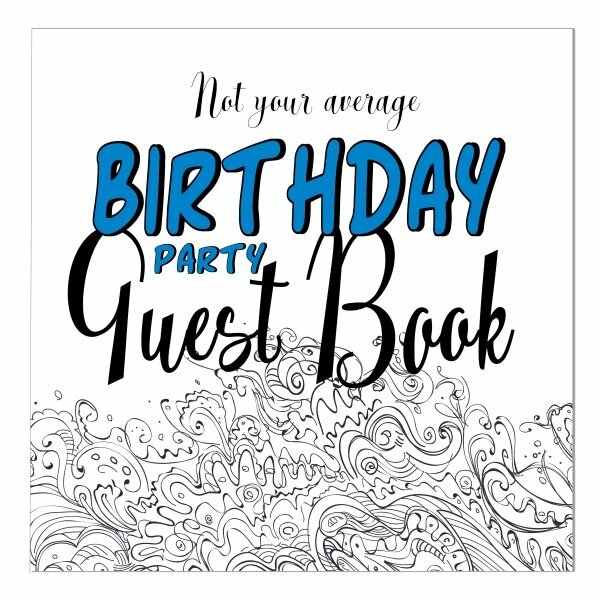 Finding a free printable invitation for your event that you love can be tricky! But I hope these great designs are just what you were looking for. First up is a very stylish invite. 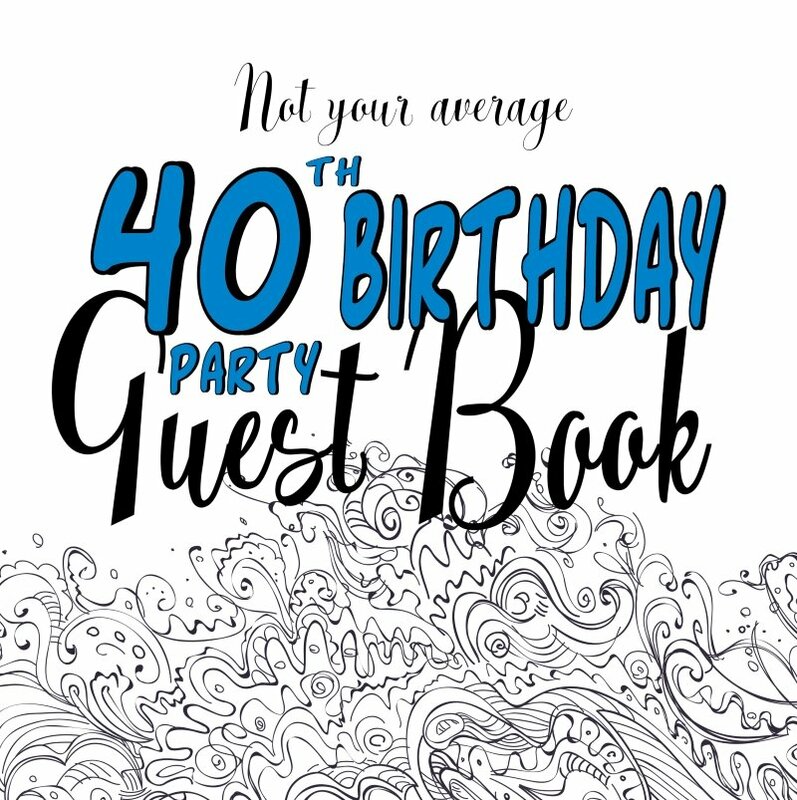 This would work really well for a 40th or 50th birthday. Or some other momentous occasion! The invitation prints two copies per page - just print them out and cut them apart. If you love this design, why not have it professionally printed and delivered? 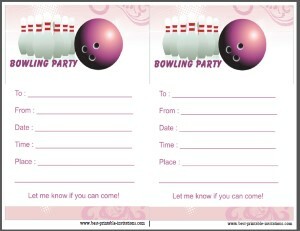 This invitation can be customized with your own event details. And there are lots of sizes and paper types available. Do order a single sample before you commit to a large order. Pretty in pink! 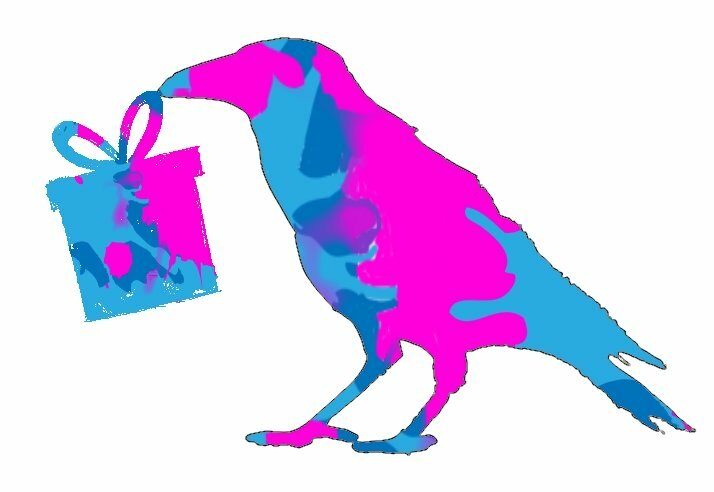 My next design makes a wonderful way to invite your friends to a girls night out. 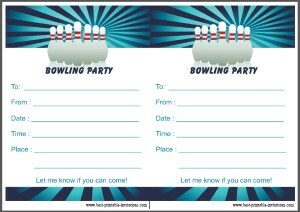 But the wording is simple enough that you can use it for almost any type of party. This invite is available for printing and delivery. 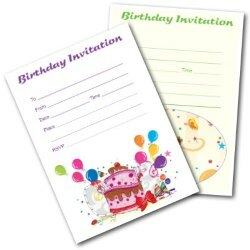 Change your event details so your invite says exactly what you want it to say. Choose a size and paper type. Then order for printing. Bowling is a fun sport and great to do as a group. It is one of my children's favorite outings - and we have wonderful memories of a family party with all ages involved and striking out! 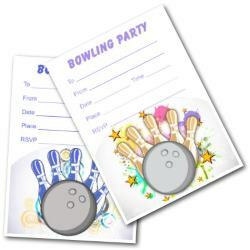 If you are having a themed bowling party, check out some of these ideas on pinterest. 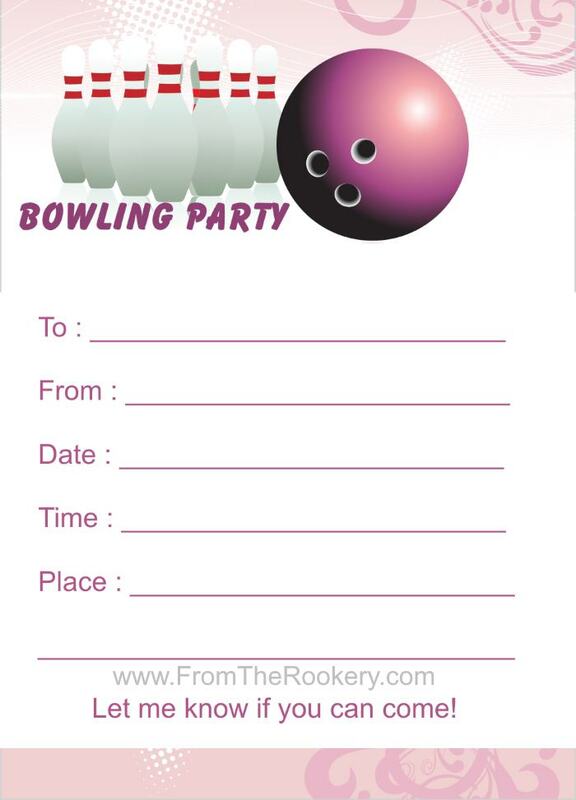 Follow Julie @ FromtheRookery.com's board Bowling Themed Party Ideas on Pinterest. I hope you love these invites but if they are not quite what you wanted, fear not! I have more for you to browse.